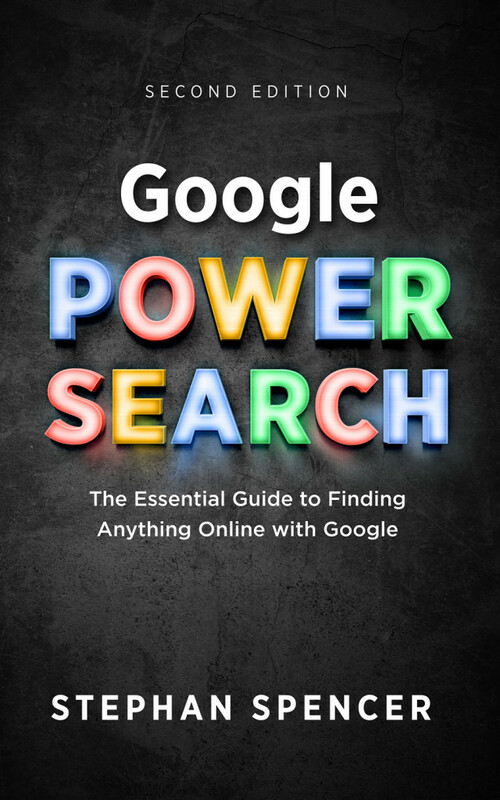 Google Power Search was originally published by O’Reilly, in August 2011. Now in its second second, as of October 2017, it is massively updated and expanded. If you want to master the Google search engine and wield its true power, then this is the book for you. Behind Google’s deceptively simple interface is immense power for both market and competitive research—if you know how to use it well. Sure, basic searches are easy, but complex searches require specialized skills. This concise book takes you through the full range of Google’s powerful search-refinement features, so you can quickly find the specific information you need. Learn techniques ranging from simple Boolean logic to URL parameters and other advanced tools, and see how they’re applied to real-world market research examples. 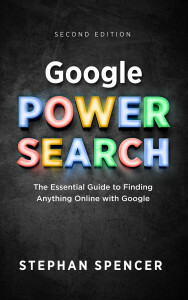 To learn more about Google Power Search, or to order a copy of this book, please visit Amazon.com. Available in paperback, Kindle, and audiobook formats.